At the close of 2015, the Mexican automotive industry created almost 900,000 direct jobs. Ten percent of this number worked in the manufacture of trucks and vehicles, while the remaining 90% labored in the production of auto parts. Mexico is now the world’s 7th largest producer of vehicles in North America, and is, by far, the largest auto manufacturer in Latin America. In terms of global exports, Mexico is the world’s fourth largest exporter of automobiles behind Germany, Japan, and South Korea. Seventy percent of Mexican automotive exports are absorbed by buyers in the United States. This makes Mexico the second largest supplier of vehicles to the US market, behind its northern neighbor and NAFTA Partner, Canada. Even though the US has made some major announcements lately as to the expansion of automotive operations inside of its borders, Mexico has captured 9 out of 12 new automotive projects in the industry that have been announced since 2011. Mexican automotive industry manufacturers exported a total value of US $55 billion in motor vehicles during 2016, a figure that accounted for 15% of the country’s total exports. Since the signing of the North American Free Trade Agreement (NAFTA), Mexico’s overseas automotive sales have multiplied by a factor of 11, and have grown by an average of 11% annually. In 2016, Mexico exported 2.7 million cars in total to the United States, Canada, Europe, Colombia, Brazil, Argentina, Asia, and Chile. The top markets for Mexican automotive exports to the United States are comprised of eight entities. These include Texas, California, Arizona, Utah, New Mexico, Rhode Island, Connecticut, and Alaska. Mexico is also the second largest exporter of auto parts and motor vehicles to 26 other states in the US. In 2016, the main producers of Mexican automotive exports were: General Motors, Nissan, Fiat Chrysler, Ford Motor and Volkswagen. During the first half of 2017, Mexico produced 1.9 million vehicles, 1.5 of which were exported. Regrettably, in the current NAFTA renegotiation environment, Mexico’s auto exports are at risk. 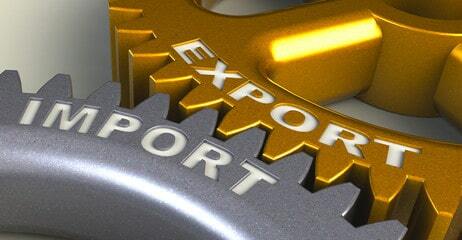 Exports may be affected by the demands being made by the country’s US trading partner. Because most of Mexico’s 2016 fifty-two billion dollar trade surplus with the United States is made up mainly of Mexican automotive exports, the Trump administration is looking to change the rules under which the North American auto industry operates. Currently, the rules of origin for the automotive sector stipulate that to be considered as “originating,” 62.5% of the value of a vehicle must be made of NAFTA country parts. The Trump administration is looking to boost this figure to 85%. Additionally, the Trump administration believes, that, beyond cutting the trade deficit, that the US will gain much needed auto parts jobs. Others believe that the opposite will occur as cross-border supply chains are disrupted. It is almost certain that, however, raising the percentage requirements for rules of origin will result in higher production costs. This will result in a higher cost for consumers, as well as will diminish the competitiveness of Mexican automotive exports vis a vis competition from Asian manufacturers. It has been announced that there will be a delay of the completion of negotiation until 2018, given the fact that no agreement has been reached at the close of the recent fourth round of negotiations. It is important to note that one of every five cars built in the North American Free Trade Agreement zone is manufactured in Mexico. Pickup trucks, like some versions of Fiat Chrysler’s Ram and the Chevrolet Silverado, are two of the best-selling Mexican automotive exports to the United States. In this regard, the possibility of raising the US import tariff from O to 35% represents a significant risk to US sales. The thirty-five percent tariff figure is that which has been established by the World Trade Organization’s (WTO) under its Most Favored Nation program. The proposed US requirement to increase the North American Free trade zone content for trucks, cars and large engines to 85 percent from the current 62.5 percent, represents a serious challenge for Mexico. Costs of vehicles would inevitably increase because Mexico does not yet possess the capacity or tools to produce many types of auto parts domestically. Additionally, in the medium-long term, the negative effect of higher tariffs and reduced exports would limit the number of new foreign investments and job creation in the industry. Mexican automotive exports, as well as other automotive topics, will be the top of a yearly event this coming December 6-7 in Leon, Guanajuato. The Mexico Auto Industry Summit, organized by Mexico Now, will take place at the Poliforum in that city. Hear from industry experts about the opportunities to participate in the Mexican automotive industry value chain. Industrial real-estate locations and costs. The reader is encouraged to review our blog at the Tecma Group of Companies for continuing information on trade between Mexico and the United States.